Which is your favorito evanescence album? Why do YOU think that Evenesence are so amazing? 'till you don't want it anymore. your world is closing in on you now. I'm everything you can't control. Life can be mais fulfilling if the things you are connected to are close by. Like work and home. Seldon from Mana offers you just that. Situated in Sarjapura and close to malls, offices, hospitals, schools, a tourist locale (the Sarjapur lake that is being developed) proximity to Peripheral Ring Road and good connectivity to highways, life at Mana Seldon can only get better. A fantastic new features includes a green mural to cut down heat and save energy, while providing pleasant exteriors. When there is life, there is death. This is natural for everyone. But for some of us, death hits us hard, especially for Amy Lee. The seguinte two frases are the lyrics to two of her songs, 'Like You' on the 'The Open Door' album and 'Hello' on the 'Fallen' album. '"I'm cantar from my coração now mais than ever. I've gotten a lot braver with my writing." I'm going to cut the video. Don't worry, your video or picture WILL appear in it! 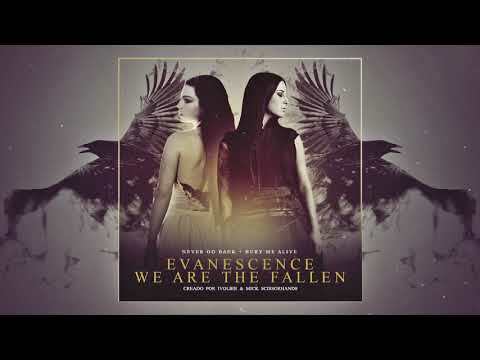 Which song does not belong to the album "Fallen"?